Move to the beat of you with Fitbit Alta HR™— the heart rate wristband that motivates you to reach your health goals in style. Use PurePulse® heart rate to optimise workouts and gain insight into your sleep. 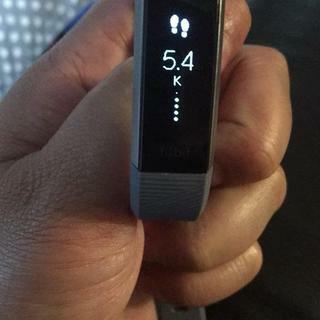 Track your all-day activity, plus get smartphone notifications and friendly Reminders to Move. 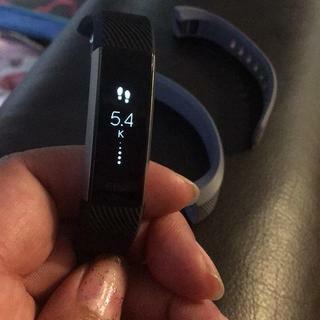 Great device for those who want to track heart rates, sleep patterns, km walked etc..Charger is way better than last HR model as it actually clasps onto back of Fitbit and doesn’t accidentally come off if knocked..Manufacturer says splash proof but I absentmindedly had a shower with it on and it’s still going strong🤦🏻‍♀️..love the text and phone call alerts..Great device, easy to use and so many options when it comes to changing bands..